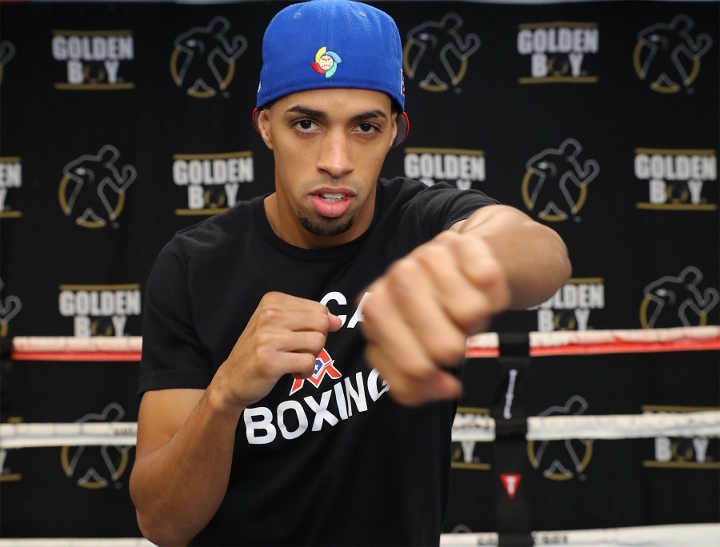 Last Saturday night, undefeated Alberto Machado was viewed as a massive favorite who was easily going to retain his WBA “regular” super featherweight title and move forward to much bigger bouts. Instead, he was battered and knocked out in four rounds by heavy underdog Andrew Cancio at the Fantasy Spring Resort Casino in Indio, California. Machado, who is very tall, intends to have a few medial exams to determine is a move in weight to the lightweight division is required. The victory by Cancio (20-4-2, 15 KO’s) was unforeseen by most experts. “This (the weight) I think could have been a factor or the short time I spent in Los Angeles this time. The time I spent was five weeks training there. I almost always do six to seven weeks. But nothing, we have a rematch clause and we will look at that, and see what decision the whole team takes,” said Machado, who now has a 21-1 record, with 17 knockouts, to Sara Hernandez. As he’s done since June of 2017, when he began training with Freddie Roach at the Los Angeles-based Wild Card Boxing gym , Machado went to prepare from the end of December 2018 for what was his third title defense. The boxer, who fell three times in the fourth round, acknowledged that on Saturday he didn’t feel the strength that characterizes him. “I do not want to make excuses. Cancio did his work that night. Everyone knew that I am much better fighter than what they saw,” said Machado, who arrives today in Puerto Rico. “(Last night) I felt like I was exhausted, my body was drained. It was not surprising (what Cancio did in the fight). That was the fight plan he (Cancio) was going to do. We prepared for that. But I did not feel with the same energy, I did not feel with the same energy as usual, with that strength to stop him. Saunders: Jacobs Must KO Canelo, He’ll Never Get a Decision!